Why US is always a first choice than Germany? HomeAll Posts...Why US is always a first choice than Germany? 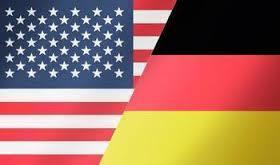 US and Germany share cold vibes between them, not only now but since decades from World War 2. There has been always a comparison between these two powerful countries. The comparisons made on democracy, freedom, bureaucracy, education etc have been witnessed since long. Though a quality of education being offered at seemingly low cost in Germany then why do people prefer US on the contrary. The choice of country is changing from last few years but it’s still US remains the first choice of people for abroad study. US have most of its universities in top 100 universities; More than any other countries in the world. Whereas Germany has only 7 universities in top 100 universities of world. Thus these statistics allure student more to go to US. The quality of education in US and Germany is comparable. The education from both countries offers you with best available practical and theoretical approach. In fact the education in Germany has advantage of no tuition fees. Studying in US will cause you no language difficulties. As US is a English speaking nation, a person from outside with a knowledge of English can surely adjust and adapt to their culture; Whereas to live and study in Germany you need a basic proficiency of German language. Germans are seen to speak to only one language through the country. US people always encourage new recent and unique ideas. They make them popular in no time. They have love for technology. So seen number of television, computer, oven, microwave, cell phone person in US, it is higher than any country in the world. Germans are not seen that welcoming for new technology, they seem a little reluctant to any such invention. As compared to Germany, US have lot opportunities for people in every field of specialization like computers, electronics, and power. Germany seems to get more opportunity for people in mechanical field. The opportunities of mechanical engineers in Germany are comparable to the opportunities in US. Most people want to go to US because of its high quality and luxury life. Their friends and relatives live there and they want to go to a place of which people talk about the most. It is trend now to live a fun life in US. Most people think to study in any country with a future scope to get settle there. US is ranked among the first choice of people to settle after their education.